According to the Point-of-Purchase Advertising Institute and the Meyers Research Center, 70 percent of purchasing decisions are made in-store and 68 percent of in-store purchases are based on impulse. With that in mind, doesn’t it make sense to invest in marketing strategies that think beyond consumers and focus more specifically on shoppers? After all, what prospects could be hotter than those in the act of walking the grocery store aisles? 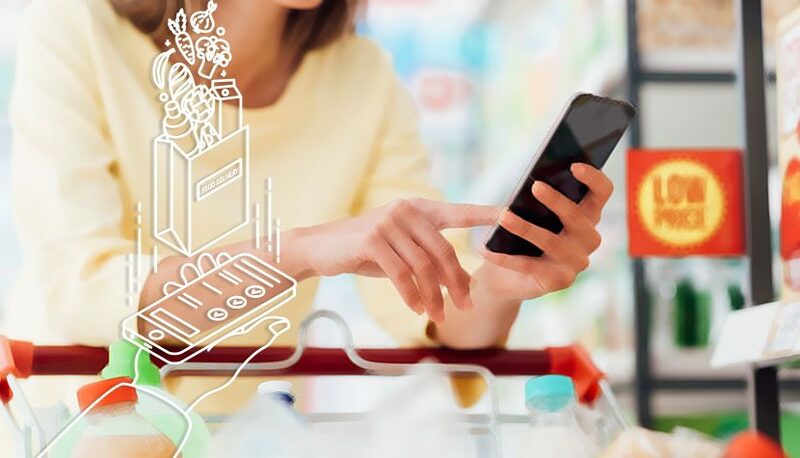 Naturally, to reach these people, most brands, grocers and retailers immediately think of running in-store demos with free samples—which, granted, are a great way to invite trial that inspires purchase. But, here’s another question. Is that one 4-hour window once a month really enough to capitalize on these hot prospects? Welcome to the #1 lost marketing opportunity for emerging food companies—shopper marketing. Shopper marketing includes demos and samples, but also a number of other smart tactics from shelf-mounted coupon machines and shelf signs to floor graphics and point-of-purchase promotions like case dividers and end cap displays. Utilize coupons that can be redeemed in-store through mobile phone retailer apps. This tactic is growing very rapidly due to convenience and instant redeemability. In fact, according the Food Marketing Institute, 58% of U.S. consumers have downloaded and used a grocery shopping app. So, how do you put together a robust shopper-marketing plan? Here are 3-quick tips. Remember, view the retailer as a partner as you grow your brand. Ask them what types of shopper marketing works best for their store—be it end-caps, floor graphics, freezer clings, coupon machines etc. Raise awareness for your product by asking retailers for creative ways. Be open to their ideas. It’s best to do this before making arrangements. We’ve seen brands plan for in-store on-shelf coupons. Then, they discover a particular retailer does not support the type of shelving unit needed to fit their coupon promotion. So, be adaptable. Apply your demos and shopper marketing program throughout the calendar year. If you have an item that is hot during certain times of the year, it’s better to plan around that time. 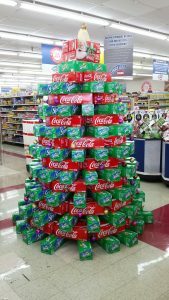 POP and in-store displays have long caught the attention of many snack-crazed shoppers during seasonal promotions and holidays. Think cases of beer in the shape of goal posts celebrating the beginning of football season or cases of soda in the shape of Christmas trees. Differentiation is crucial in a marketplace that is both crowded and fiercely competitive. Your product features should be different. Your message should be unique. And your visual identity should be singularly appealing and developed with your target audience in mind. While the attention span of your customers is shrinking and the volume of communications available to them is almost overwhelming, less is often more and simple is frequently better. Your growing brand is fighting for the attention of distracted consumers in a crowded marketplace. From the types of shopper marketing vehicles available, to the logistical issues involved, so many questions need answers before your strategy can really pay off.